Mocha just took on another meaning for me! 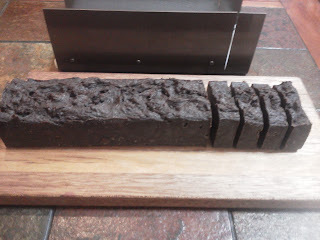 I love making fresh brewed coffee soap! I've made soap with fresh brewed tea and honey and wanted a coffee recipe to compliment it. 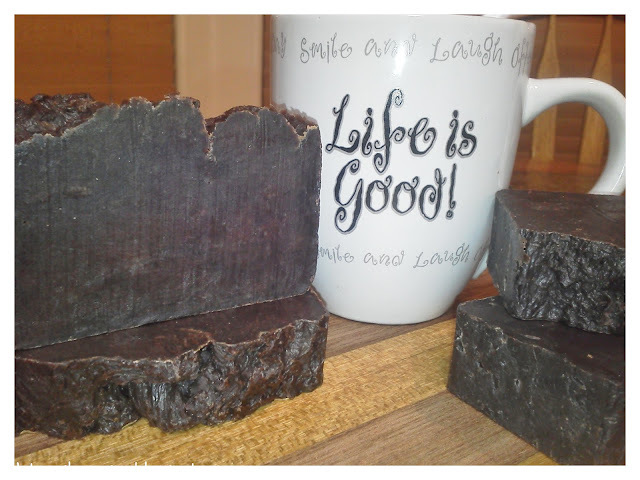 How fun is that, tea and coffee luxury homemade soap! about a 3 LB loaf of soap. Crockpot, Stick blender, pyrex or something like it to mix lye/water, long handled mixing spoons, I use silicon. Rubber gloves, and eye protection. You can purchase Lye on line at Brambleberry or Essential Depot (my favorite) which is food grade. In the USA you can still find 100% lye at ACE hardware in the plumbing section. Make sure it says 100% LYE on the container. Other varieties contain particles for drains, which is NOT the correct lye for soap making. This lye is also very affordable. Always wear protective eye ware and rubber gloves when working with lye. I use a glass container to measure my lye into. Plastic containers conduct static and the lye beads stick to it ridiculously. Have vinegar near by to neutralize any splashed lye. If you get it on your skin wash immediately under water. Designate a crock pot for your soap making adventure, I got a used one at a thrift store. never use a hot or warm liquid and add lye to it. Your liquid is measured by weight, NOT volume. In a separate container measure lye by weight. cold coffee ( or liquid of choice). dissolved. Gloves and eye wear a must. cup, spoon into vinegar water to neutralize it. Always put anything with active lye on it into your vinegar solution when you are thru using it. 3: Preheat crock pot to LOW. Measure (by weight ) coconut oil, olive oil and crisco into large container that is microwave safe. Place in microwave and heat until melted. 4: When all oils are melted together, pour into crock pot. Crock pot should be on LOW. NOTE: if you are making this with cocoa powder, at this point take out a little of your melted oils and mix with your cocoa (unsweetened) powder and stir, consistency liquidy, not dry, just want to make sure you don't have lumps of cocoa powder in your soap! Add back to crock pot and stir. means you are literally turning your oils into soap by the chemical reaction to the alkali (lye). Your mixture will begin to get thicker, when it gets like a soft pudding, and you lift up your blender (turned off of course) and the mixture leaves a trail, or a trace on top, this is called "Trace". Continue to stick blend until it gets like pudding. 7: Next, place lid on crock pot, leave on LOW, and watch as you make soap! if to over spill, stir it and release the heat, it'll go back down. Your mixture will go thru changes. It's edges along the crock pot will rise and curl in towards the center. You will see a clear liquid pool in the center, this is glycerin! Commercial soap makers remove this awesome natural soap by-product and use it for other purposes, that is why store bought soap is so drying, no glycerin. Your homemade soap keeps all that moisturizing goodness. My crock pot was a bit too small for this size batch, make sure your crock is big enough. Depending on the ingredients added to your soap mixture, your soap can take a half hour to an hour to be done, I've had my coffee and tea recipes take 20 mins, so don't walk away! Think of the sides of your soap as waves, and the center as a glycerin-island. The waves will continue to grow and rise around the island which is smooth. As it cooks, the waves roll inward closer to the center making the island smaller and smaller. When the island has sunk beneath the waves, you will see some clear glycerin on top. Stir it back in. Turn crock pot off. If you have a removable crock, take it out. Stir to cool down your soap. Yes, I said soap....you made soap! thumb for fragrance is no more than 1 oz per 2 pounds of soap. Of course this is entirely dependent on the fragrance or essential oil used. Some are quite potent. Most manufacturers give their recommendations for their product. for both candle and bath and body.... MAKE sure you know what you are using ! easily remove the soap. You can use any mold you want. Silicon works great, plastic too. Pringles cans work too, the next day after pouring, just rip can away from soap! Be sure and tap mold on table after putting in soap batter to get out any air pockets. night, so I left it in for two. you do with Cold Process soap. This recipe made a bar of soap with large chocolate colored bubbles, lovely. Have you tried colors yet? That's something I'm interested in trying. Jan, I agree it does look good enough to eat! It smells good, cocoa comes through nicely, I thought it would smell stronger of coffee, but it is quite subtle. The bar on the whole turned out to be a really good recipe. Decadent! You've added more pictures since my last visit, your soap looks great! I've given all but one bar of my Chocolate Espresso Soaps as gifts with instructions on letting it "cure". It will be time to make more soon, can't wait! Ok Justin, this post is updated to a full tutorial just because you asked! Let me know if you try this, I would love to post a picture. Have fun! This looks awesome! Thanks for sharing on Wildcrafting Wednesdays! I would also love to have you share your posts on The HomeAcre Hop! 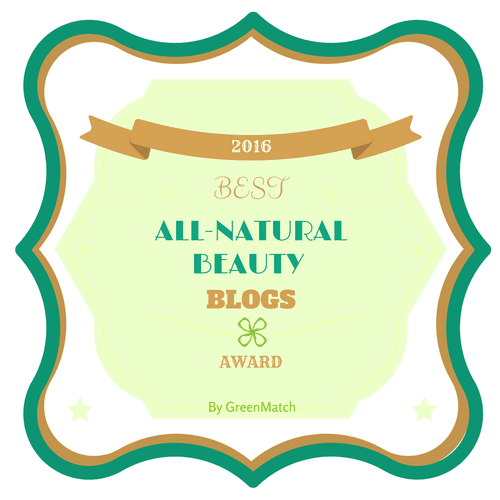 J.Rae, Much thanks for the feature! How fun! Love the creativity on your blog. Thank you so much for this tutorial. After reading and studying about soapmaking for a while, I decided to make my very first batch of homemade soap ever. Your tutorial calmed my fears. Since I live in Brazil, I had to substitute the Crisco oil with our local vegetable fat. Since it doesn't list the kind of oil it contains, I was somewhat apprehensive. 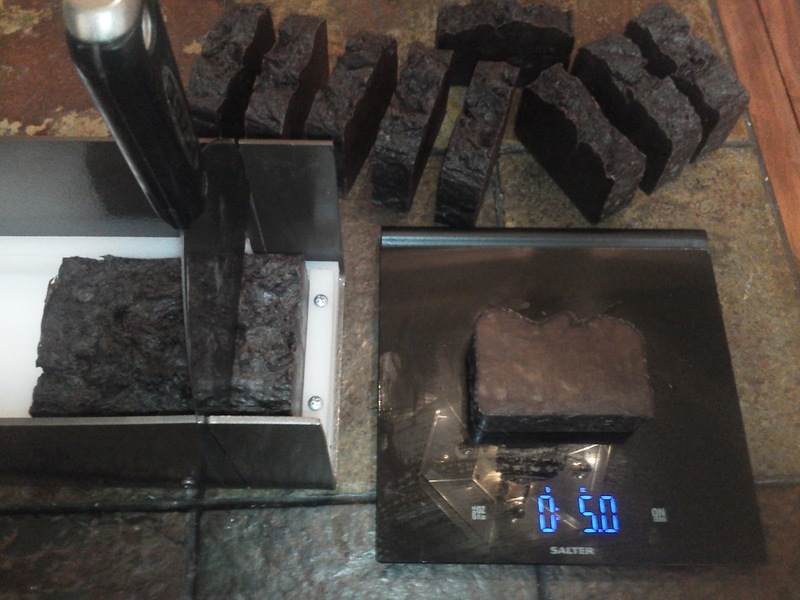 I really thought I burned the soap since it came out so "black" looking, but looking at your photos I see mine looks like yours and is lightening up as it cures. Now I have the courage to try other recipes. Thanks again. Peggy, your welcome! I'm so happy you started on your adventure in soap making! There are SO many different recipes out there to try and to create yourself! So much fun! 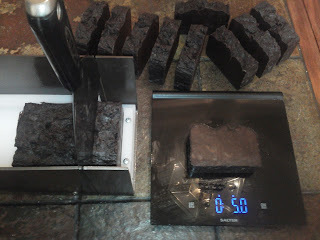 Yes, this soap is definately my darkest soap, the fresh brewed dark coffee and cocoa are why. I just made a soap with bakers unsweetened chocolate bars for Valentines Day. It is dark also but looks more milk chocolate. Smells awesome. I'll be putting some photos on my blog today of it. HI ANNA. IM AM SO SXCITED TO BE CREATING WONDERFUL SOAPS WITH YOU AND SPENDING TIme with you in FELLOWSHIP. YOUR AWESOME,. IF YOU CAN SEE BY ALL MY CAPTAIL LETTER WRITING. 1 TEASPOON OF HORSE RADDISH IN 1 CUP OF OLIVE OIL AND YOU LET IT SIT FOR 30 MINUTES. ITS THERE NAYWAY WE CAN IN CORPERATE THAT INTO A SOAP. I ACHE ALL THE TIME. A SOAP WOULD BE GREAT FOR EVERYDAY. LIKE AN APPPLE A DAY WILL KEEP THE DOCTOR AWAY!!!! Raphael, thanks for stopping by and looking at this easy to do soap recipe! A good substitute for the Crisco in this recipe would be soybean oil and palm oil. No, your substitute oil does not have to be the texture of lard, it can be liquid. I hope you give soap making a try, it can be addicting! Let me know how it comes out! So I am new to soap making. This was my 3rd batch that I made of soap. I have done two cold process and this was my first hot process. I don't know how it is going to turn out it seemed really oily. when stick blending it it got thick nut was so slick it didn't leave a trace. I measured and weighed it just as the recipe says. when I finished cooking it it seemed fine until I poured it then it started seperating and left some liquid in the corners. Any suggestions or pointers. Hi Joy, sorry for the late reply, its probably too late for this answer but: when a little oil separates, in the corners etc, on top , you just stir it back in. Yes, even in the mold, just stir, stir, stir, it back in. Mine did that as well and I was SO discouraged, but after I stirred it, it hardened into a beautiful bar. Hope this helps, like I said it may be too late. Sorry. Let me know. Hi Anna! This recipe looks amazing! Im wondering if you could give a good description of what it smells like. I've been making soap for about 2 years now and have been wanting to try a recipe with coffee for sometime. I was hoping to make a good coffee soap for some of my coffee loving friends for Christmas this year. Can you smell the coffee and chocolate very well? or more of the almond oil? would it be too strong if I used a Mocha coffee oil instead? Thank you for posting such a lovely recipe! I cant wait to try it! Sarah, the coffee scent from the brewed coffee in this recipe does not come through after the cook. So, if you want a definite coffee scent you should probably use a coffee or mocha fragrance oil (FO) that you really like. So, no, a FO will not make the scent too strong for this recipe. About an ounce per pound of oils used, give or take. The Almond Biscotti FO in this recipe comes through subtly, and mixed with what does come through of the cocoa and brewed coffee makes a warm and yummy bar. Over time, this recipe is stunning. The richness of the bar totally lasts. The bubbles get even better. So, it really is a great recipe for a gift soap. Good luck Sarah! Isn't soaping so much fun! Can I use lard instead of crisco for this recipe? Hi Zucchini Pickles, (great name !) Yes, you can use lard instead of Crisco, absolutely.....But you must run the whole recipe through a lye calculator to re-formulate the amount of lye needed to saponify the oils, as each oil has a different fat content. If you need help with this, leave a comment here and I'll re-do the recipe for you using lard, as soon as I can. No problem. Lard makes a nice hard, long lasting bar of soap. Ashlee, can you email me and we can dialogue about your soap. I'd love to help you, but I have to ask a few questions. Looking forward to hearing from you, don't throw anything out! Hi Anna, your recipe looks great and I can't wait to try it. The only question is: can I substitute Crisco shortening with palm oil? I know there was a similar question before but I want to make sure I can use only one oil as I have it at home. :) Thank you and have a great weekend! I have never used straight palm oil like that, so I don't know what kind of a bar it makes, but I know others have. Good luck, love to hear if you make it! If any of you are wondering why I used odd ounces of crisco etc , it's because that's the amount I use to fill a certain mold I use. I am reposting the recipe here with even amounts of ounces, to make it a bit easier, and adjusting the Olive oil to 17oz. as Walmart sells a bottle of Olive oil 17oz. Thank you for the recipe, I cannot find palm oil (except online) and have read that it makes a bar a lot harder. Being thats out of the picture, I came across your recipe. I normally make a bastile soap, olive, coconut and castor, do you think by using the Crisco with palm in it is giving you a harder bar? 1 to a 2 (very hard) and soybean ranks about a 4 for hardness. If you have no aversions to lard, it makes a hard, very nice soap. Hope this helped! This recipe looks great! First of all, thanks for sharing :) I make soap too, but CP, do you know how to make this reipe in CP? Hope to hear from you! Hi Irene, thanks for asking! 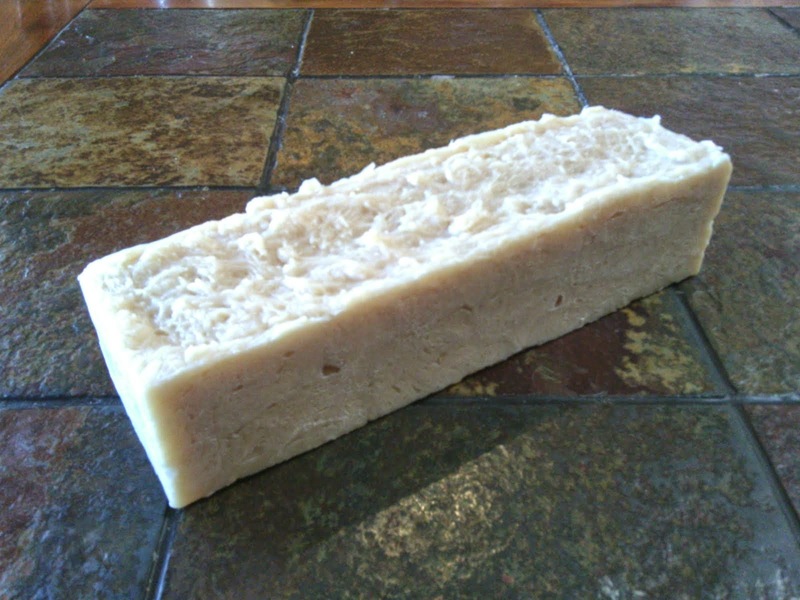 Yes, this soap recipe works just as well done the Cold Process (CP) method. You follow the recipe amounts and instructions as stated, up until the crock pot part. Instead of melting your oils and pouring them into the crock pot, you melt your oils in a separate container and continue with the regular Cold Process method: adding your lye/liquid which was mixed earlier. Bringing this to trace and pouring into your mold. If I haven't explained this clear, please tell me Irene, I want to make sure I help you! This recipe is the BOMB! Thank you so much for your time and effort. 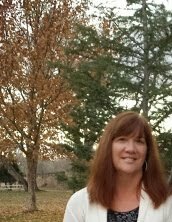 I am a commercial bee keeper and I love making soap in the winter. I often add chemical bees wax to my soaps and get rave reviews out of it. Anna, I love this recipe!!! I am wondering if it can be made with goats milk? Hi Irene, Yes you can make this recipe with goats milk! recipe I would recommend using half water and half goats milk. already, but they will stick blend in just fine. ice cubes. Pour lye crystals slowly over iced coffee/milk while stirring. Ooo YUMMY, I think this is my weekend project. I am in such a CHOCOLATE mood!😊. I would love to see your soap when you make it! thanks, and have fun soaping! Anna, I made this recipe this evening but did not use Essential Oil in it, the what I am assuming is a lye smell isn't that nice .. will this fade as it finishes processing and cures? I'm not looking for it to smell like coffee without essential oils but I'd like it to not stink. Hi Jennifer, I'm assuming you used the thee oils in the recipe, and coffee as your liquid, right? No fragrance or essential oils, right? As long as your oils were fresh, and I'm sure they were, as the soap dries the scent will most definitely change and settle down. I've had soap that was unscented as well as scented smell "wonky" until it dried and it was totally fine. Cut it and allow the air to flow around it, it will be fine! Just recently began making soap past few months. Ive been really looking forward to making coffee soap. Recently found your recipe. tried it.. It smelled really really bad when we mixed the coffee in the lye!!!! !--like almost vomit from the smell. And i know that sounds harsh but it really did have that effect on us.. Sorry. I have done some more research to find out why.... the coffee needs to be COLD before mixing in the lye. Now that im going back over your recipe i barely see it in the picture and you never mention the importance of that in the directions. It might be really helpful to make sure that is corrected in the recipe... these ingredients can get expensive to just have it turned out bad on a small technicality such as that. That may be why Jennifer Thibeau's soap is "wonky?" thanks so much. I will try the recipe again with COLD coffee and see how awesome it really should be! Thanks! Paula, good point. Cooled coffee, even frozen coffee cubes would work. You should never, ever use a hot liquid and add lye to it. I'll make it more clear in the post for sure. That being said, you may find using cooled coffee smells a little funky too when you add the lye. Did you throw out the batch? If you followed the recipe and measured correctly, your soap most likely would have turned out, and the smell would have settled down and been fine I've been told by other soapers. Yes, you can add coffee grounds to this soap for a exfoliating. I make this the Hot Process method in the crock pot, and add it after the cook right before I pour it into the mold. 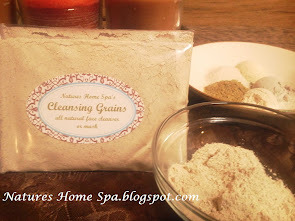 Only use a very small amount of grounds, they are scratchy, and you only need a little bit! good luck in your new soap making adventure! It's alot of fun! This recipe is for a 40 oz oil batch, which is about a 3LB loaf of soap. Please feel free to email me personally with any questions I can help you with! HP soap hobby, I'd love to! I made my first batch of soap today! I didn't use the coffee but opted instead for just essential oils. I also used your how to add clay tutorial to add some clay. Essentially I used your teen soap additives with this recipe. It worked out very well and my new soap is cooling as I type. When I was washing my crock pot it got all these great suds so I think it worked :). I am thrilled and can't thank you enough for all the amazing info, ideas and tutorials you have shared with the World! I would love to see your awesome soap! Just wondering if you brew your coffee with distilled water or tap water. I'm just beginning to make soap and would love to try this recipe for Christmas. Thank You for the recipe and your response. Merry Christmas! I brew my coffee with tap water, and allow it to cool down. I didn't notice any difference between the tap water and the distilled, as I have done it both ways. If your tap water is super hard, some say that it can effect the lye due to the mineral content of the water. I have never had a problem with tap water though. This soap has a distinct smell to it that may not be too pleasant when you add the lye to the coffee. This DOES NOT stay, so don't worry! 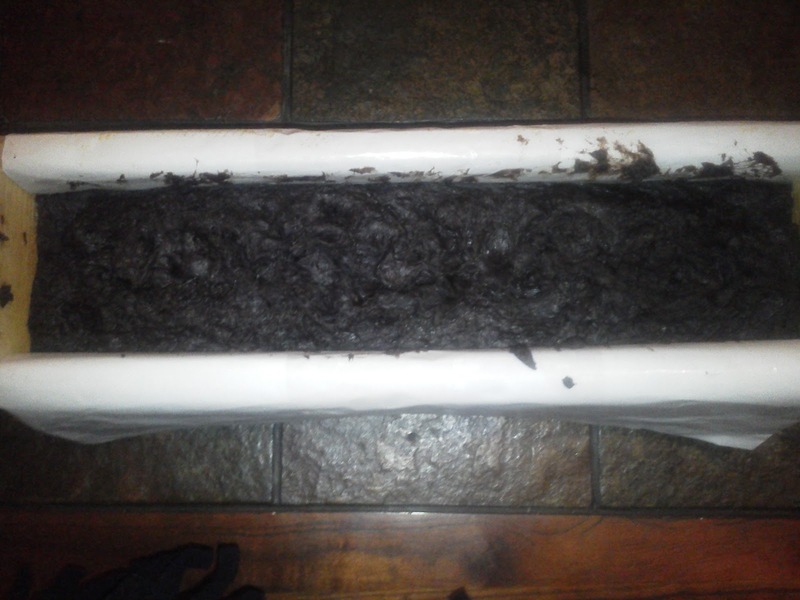 Folks have been known to throw their coffee soap out before it even hardened thinking it smelled off. No worries. It will smell great when it dries out a bit. 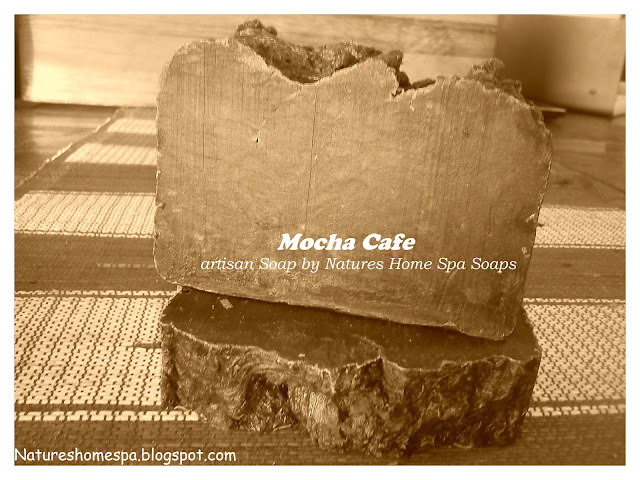 I'm making coffee/mocha soap today for family gifts as well! Hope this helps! Happy soaping! 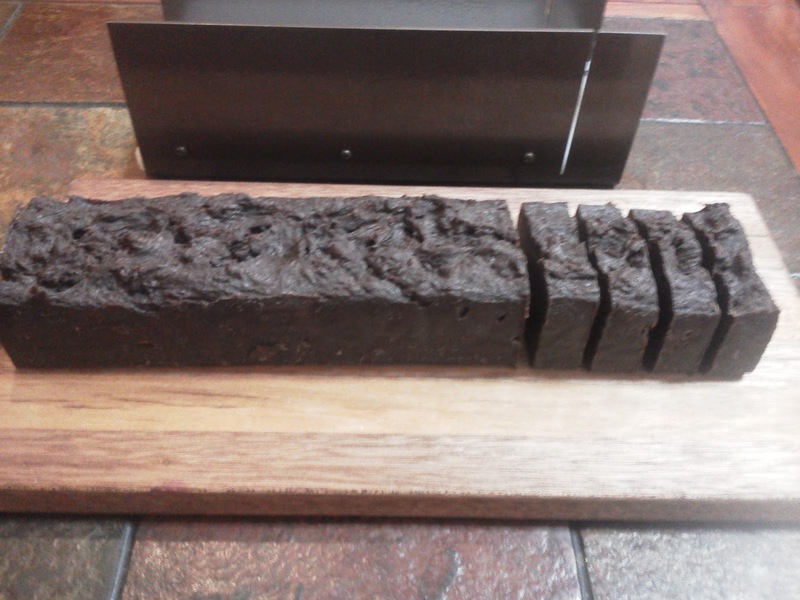 Hi Anna, the coffee soap came out just great, I like it so much I took my scraping to use in my shower. Have a question, could I swap the coffee water for beer? Would the beer have to be flat, should I freeze it into cubes? I'm looking to make a manly colored and smelling soap. Your soap sounds great! Good job! but I'll tell you the two ways that I've tried and that works. First off, it's important that no alcohol remain in your beer. the alcohol is gone, it will freeze. Beer soap makes a really great lather and feels good on the skin. Can you use cadbury hot chocolate instead of cocoa. Soap looks amazing.